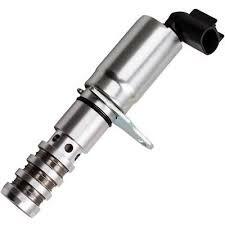 Variable Valve Timing (VVT) Solenoid is one of the awesome innovation of the automobile industry. Almost all modern cars use VVT technology to improve their performance and fuel economy. VVT solenoid helps engines altering their valve lift timing which makes sure that the right amount of oil is supplied to the engine that results in fuel efficiency. Electronic fundamentals of electromagnetism equipped in form of solenoid valve are used to control this oil flow. Solenoid draws a small amount of current from car’s battery which activates it. When the ignition is turned on connection to the solenoid is established drawing a metal slug down overcoming spring force that pushes the slug away. This push closes the contact between connections and connects that battery to starter, letting large current to pass via contact to the starter motor and letting the engine to start. When solenoid goes bad, the passage of current gets interrupted resulting in a problem in starting. This could be because of burn or corroded contacts. In case of VVT Solenoid’s malfunctioning, improper lubrication can result in gear and timing chain damage. 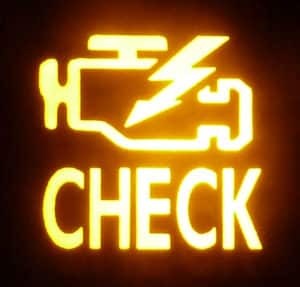 With the help of Electronic Controlled Unit (ECU) equipped in new modern cars, you can get to know any unusual activity going on in your via a check engine light indication. Your ECU monitors compare and report every activity going in your car and in case any of the current situations is not compatible with the predefined values it gives you check engine light. In this case, it is recommended to go to a highly professional mechanic and get your car checked as only he check and decode your check engine light through his manual. The flow of additional oil to VVT gears is one of the possible outcomes if VVT solenoid malfunctioning. It results in an engine’s rough idling. Engine’s RPMs fluctuates when VVT works, Ignoring RPMs fluctuation can result in early wear and tear of the engine. VVT solenoid’s performance depends highly on the quality of your engine oil. With clean engine oil, they tend to perform perfectly. Engine oil with lots of impurities lowers its viscosity resulting in clogging in VVT solenoid ultimately effecting chain and gear. VVT Solenoid manages valve’s open and shut timings to make sure efficient fuel consumption is observed. So any malfunctioning in VVT Solenoid will surely result in fuel efficiency. So if you notice definite drops in your fuel average and smell kind of unburnt fuel, then there are very good chances that your Variable Valve Timing sensor is at fault. Once it has been detected and confirmed that your car’s VVT Solenoid is at fault, it is recommended to get it replaced with some professional mechanic or do it yourself if you know about it. For replacing, the following steps will have to be performed. First of all, disconnect the car battery carefully from your car by loosening both terminals carefully and handling batter (in case if it is with battery acid to remove any possible spillage). Keep both terminals away from each other to avoid any possible short because of any stored charge in capacitors. Your engines are covered with some plastic body (different in every model) under which all other engine parts are hidden. So, first of all, remove your engine cover by unfastening nuts on them and keep it securely in a side. Once the cover is removed, now look carefully for your VVT Solenoid. It is normally located around the valve cover. In case you do not know and you have new VVT Solenoid, then try and compare both of them and find a similar part mounted somewhere nearby as it will make it easier for you find. Once found, make sure to clear that area of wires and others. Normally Solenoid Valves are tied using a single bolt, but in some cases, there are two bolts as well. Remove these bolts carefully and keep them safe, making sure you do not drop them in the engine room. Firstly, remove the connector fixed on VVT solenoid carefully by make sure no connections to the connector are disturbed by pressing tab to release the lock. Now remove the Solenoid with the help of a pair of channel locks. Grip on the metal part and pull. Try swirling it and pulling as it might make your pull more effective. Once you have taken Solenoid out, have a proper look at it. Make sure that whole Solenoid is removed and none of its side parts like O-ring etc. is left. Also, make sure that you clean any dust and debris if found there. Once you unboxed your new Solenoid, make sure to lubricate it before fixing it. Also, lubricate its seals with lithium grease. Now get back the mounting screws you unfastened from to remove the old solenoid and fastened them now tightly. Make sure they are well tightened with an accurate amount of torque. Now put all jacks and connector to this newly attached VVT Solenoid. Applying dielectric grease on seal and connecter’s face is appreciated as it will help prevent corrosion. Once all above steps are done, back your engine cover and reconnect your battery. You are ready to go now. The average replacement cost of the VVT Solenoid is around 300$. You can expect a labor cost of 50-300$ depending on the car model and the part itself costs between 50-300$. There is a large price variency when it comes to the VVT solenoids depending on which car you have. Some car models you have to take half the engine apart, while on others it’s replaced within 5 minutes. Check your repair manual for the exact information. VVT Solenoid plays an important role in your cars overall performance. Malfunctioning of VVT Solenoid means disturbance in engine activity which possibly can lead to engine wear and tear. If you have any questions regarding the VVT Solenoid, Leave a comment down below! What is a Blow By - can it be fixed easily?